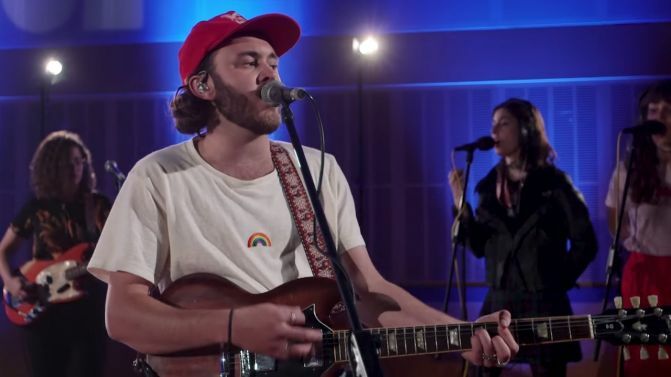 Five years since they covered Daft Punk’s ‘Get Lucky’ for Like A Version, Aussie indie heroes San Cisco have returned to the triple j studios for a cover of a recent indie hit. After performing their recent single ‘When I Dream’, San Cisco tackled American artist Clairo’s April single ‘4EVER’, recreating the song with their typically breezy indie-rock vibes. Watch both performances, below. During their time in the triple j studios, San Cisco also said they will release a new album in 2019, as the follow-up to 2017’s The Water.